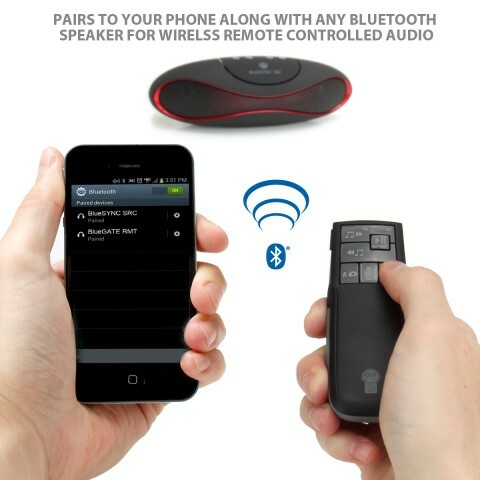 Show off your favorite music with your friends without touching your smartphone or tablet! 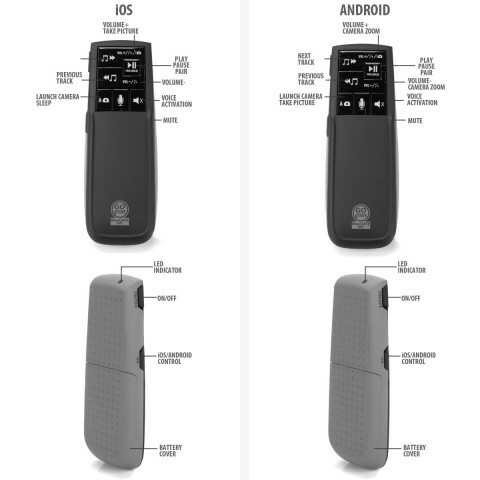 The RMT has easy-to-read, and easy-to-press buttons for the ultimate audio playback control. You can change the volume, play, pause, repeat or skip tracks. 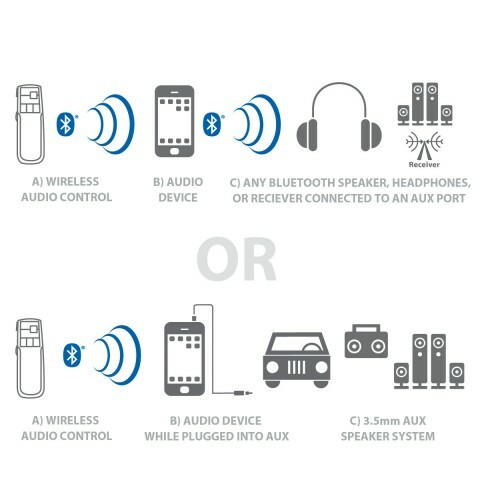 Your device will stay connected to any Bluetooth speaker while you pair it with the RMT. Don't forget to take a moment to capture a photo with your friends! 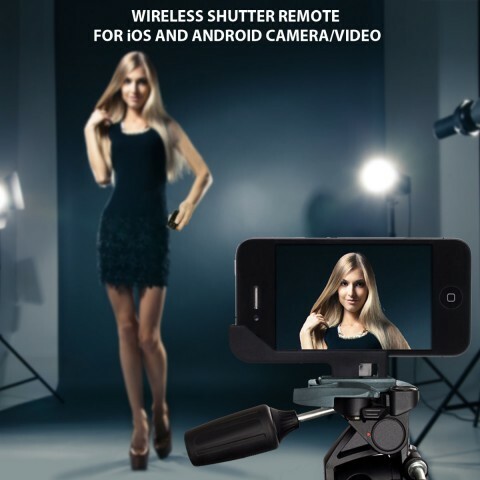 Launch your camera app with the click of a button. 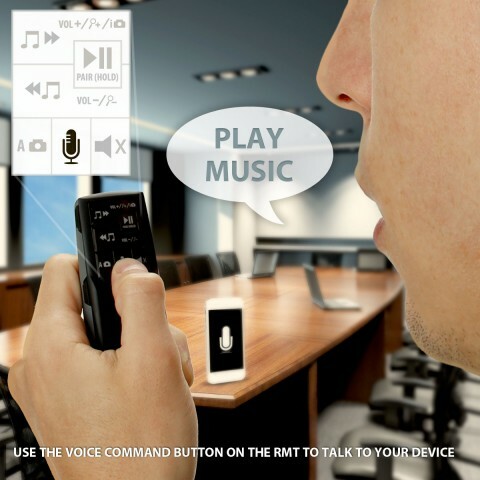 The RMT can control camera shutter, video and zoom features. 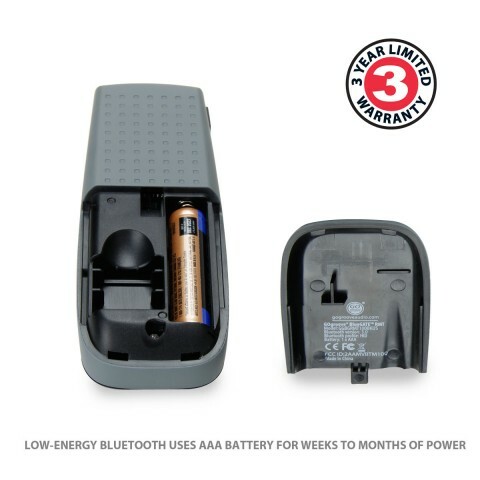 (Zoom only supported on Android devices). Point your RMT at your device, click, and smile!. 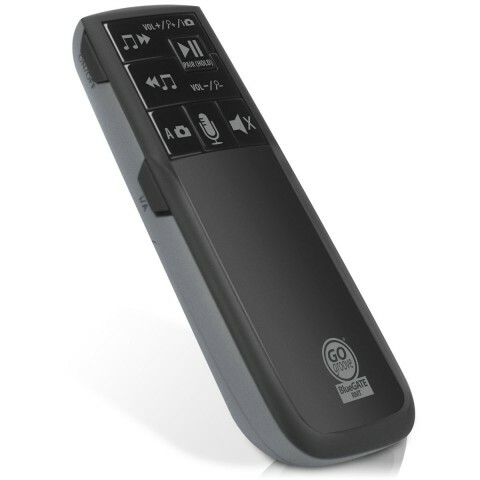 The RMT offers a hands free experience by pressing and holding the Voice Command button. 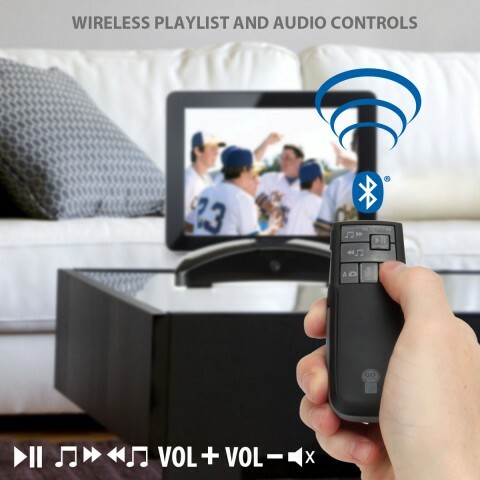 By activating this function, you can use various functions without ever touching your device! Are you curious to figure out some lyrics to a song? While you're in music mode, tap the voice activation button to launch a Google Search.